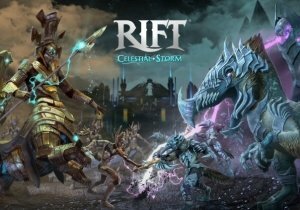 Trion Worlds has announced the next update for RIFT Prime is coming this fall, entitled Storm Legion. Crucia’s forces are attempting to use the Infinity Gate to conquer the Steppes of Infinity. The update is coming in the fall and will raise the level cap to 60. It will also boost the crafting skill cap to the Grandmaster level. The update also adds two more continents for Prime subscribers to explore: Brevane and Dusken. The island stronghold Tempest Bay has been added as a new city hub, while a host of new dungeons and raids have also been added for players looking to hit the increased level cap. For the high-level players, Volan, the mighty Empyrean colossus awaits, as he’s set loose from his prison. Clad in adamantine armor, he makes his debut on RIFT Prime to take on all challenges. Pax Prime 2013 Day 1 Recap Pt 1 - Elder Scrolls Online, Forced, Strife, and Cosplay! DizzyPW recaps the first day of PAX Prime 2013. Guardians of Ember announces its Iron Hero Event, which will run from February 3 through February 17.